Hugging Harold Reynolds: Q&A with the Inventor (and Author) of "Instant Replay"
Q&A with the Inventor (and Author) of "Instant Replay"
On December 7, 1963, 8 days after the assassination of President Kennedy and on the 22nd anniversary of the attack on Pearl Harbor, CBS aired the annual Army-Navy Game live from Philadelphia. In a game in which Navy quarterback Roger Staubach led the Midshipmen to a 21-15 victory, CBS made history of its own. After a forth quarter 1-yard touchdown run by Army's Rollie Stichweh, CBS immediately re-aired the score, prompting announcer Lindsey Nelson to clarify for home viewers, "This is not live! Ladies and gentlemen, Army did not score again!" Instant Replay, a feature that has become a staple in all major televised sports, was born. 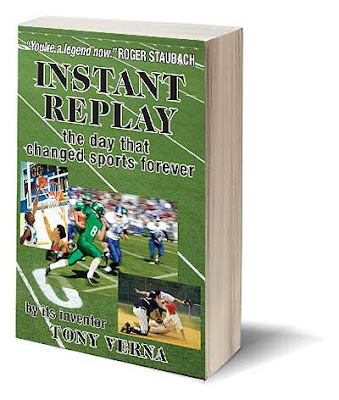 When I told a handful of HHR readers that I would be interviewing Instant Replay's inventor, I was met with confusion: "Inventor of Instant Replay? So he was the first to use the rewind button on his VCR? I guess my question would be how you could claim creative license of instant replay." And sarcasm: "Ask him 'If he could, would he do it all over again?'" The problem is, we have become so accustomed to instant gratification and access to images and technology, that it is hard to fathom a world without something seemingly so simple. In his new book "Instant Replay: The Day that Changed Sports Forever," the game's director, Tony Verna, outlines the difficulty of getting the "invention" implemented, from both logistical and ideological roadblocks. Live game broadcasts were not equipped with the machinery necessary to instantly replay plays during broadcasts at the time. Announcers were unaccustomed to relaying to viewers something that had never been done before. And executives were none-to-eager to give directors leeway to take creative license with forward-thinking, and by many accounts, radical ideas. Yet, Verna found a way to get it done, and he details the process from conceptualization to implementation. 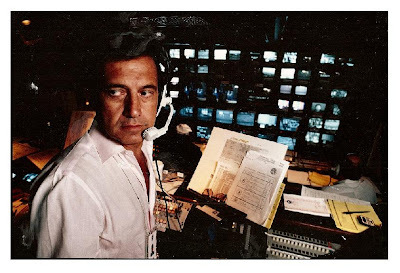 Today, at 75, after directing some of the largest events in television history, including 5 Super Bowls, 12 Kentucky Derbies, 2 Olympic Games, Bob Geldoff's Live Aid, Pope John Paul's "A Prayer for World Peace" TV Special, NBA Championships and Stanley Cups, Verna isn't satisfied that he is given the credit he is due for the one distinction he is most proud of, the invention of Instant Replay. "Instant Replay" aims to set the record straight. While laden with technical boadcast jargon that left me bewildered, and unapologetic name-dropping on the hundreds of celebrity friends he's encountered throughout his distinguished career, Verna's life, as outlined in the book's chapters broken out over his 6 decades in the business, tells fascinating stories and retells his life the way he wants it to be remembered. The book is, at times, difficult to follow. Verna's aim to cram 50 years of experience and anecdotes in a little over 200 pages results in him jumping around from story to story, time period to time period. The focus is scattered, but beneath it, is a little-seen look at historical sporting events to those not in the biz and unfamiliar with what goes into producing televised events. While the late Roone Arledge stakes claim in every single breakthrough that ever transpired in sports broadcasting, including Instant Replay, Verna, a "dago kid" from South Philly, takes exemption and has no qualms justifying his role in the evolution of sports television. HuggingHaroldReynolds: In the opening chapter, it seems as though you are looking for vindication and recognition for the invention of Instant Replay. All these years after its invention and after a notable career in which you directed some of the biggest events in televised history, why did you decide to (and deem it necessary) to write the book now? Tony Verna: The book was written to cover my life and my thinking. This is my fifth book. In three of the five, PLAYBACK, LIVE TV, and GLOBAL TELEVISION (all of which have been used as college texts, by the way), I covered the Instant Replay in pieces. In INSTANT REPLAY, I’ve put all those pieces together. HHR: In a few sentences, let's set the record straight for readers: A) Why unequivocally can you say you invented Instant Replay? B) Why do you feel this distinction has evaded you? TV: A) At the time, nobody else had even thought about it. The machines we used were not equipped to do it. 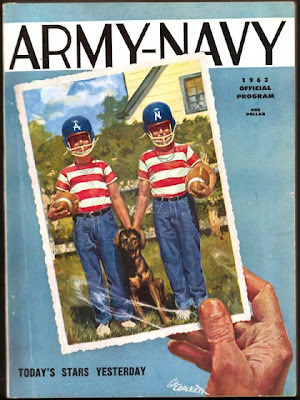 B) CBS has televised 45 Army-Navy games since then and not once have I been mentioned or credited. HHR: Unlike many of your contemporaries throughout your career, you embraced technology and forward/innovative-thinking. You are quite blunt about the importance of blogs. Can you elaborate? TV: Blogs intrigue me since they are an “always on” communications tool, especially when applied to Instant Messaging. And for me…nothing is better than INSTANT! HHR: Tell us about the nature of your departure from CBS after 30 years. TV: New management did not want anyone diverting attention from them. They wanted their day in the spotlight and the best way to do that was to pressure me out. 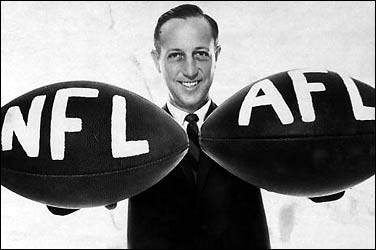 HHR: Can you give us a brief comparison on the main contrasts in working on NFL games under Commissioners Bell and Rozelle? TV: When working games during the Rozelle years, there was no interference. I did what I thought best. I’d be in constant contact with Pete, sometimes for lunch or dinner, but most times over drinks and card playing. As far as Bert Bell was concerned – he wasn’t fond of TV, thinking it to be eventually the end of gate revenue. Bell didn’t like me shooting the game too close. He thought the best seat should be in the stadium. All in all, Pete was a nice guy and Bell was a royal pain. HHR: You've worked with numerous legendary, as well as colorful, announcers throughout your career. If you had to pick a handful from any generation to be a part of your team, who would they be and why? TV: I presume you mean just sports announcers, so I’ll answer in that field alone. As noted in my book, Vin Scully was (and is) my favorite announcer. Vin has the “Eric Sevareid (CBS News journalist from 1939 to 1977) touch” in telling us what we have just learned. Vin was – and is – a solo act. He doesn’t like to share the booth. HHR: Which station broadcasting sports would you most like to work with today given the quality of their product and creativity? TV: Working for and with Ted Turner was most enjoyable since there was no middle management between him and me. By the way, we just exchanged nice words about our respective bios. HHR: With the increased number of channels available to viewers, has quality declined or has competition led to better production and innovation? HHR: Despite the title, "Instant Replay" comes off as much as a venue to relive old stories, friendships and acquaintances, as a reflection on the invention itself. Is the title more a metaphor for your life than the book's intended subject? The book’s intended subject, Instant Replay, has to be taken into account --what kind of guy could think up something like that? HHR: Tell us about some of your current projects. TV: Currently, I am working on two of my inventions: “Instant Footballer,” a screen widget that places the football during a live contest on the exact yard line…and the “Talking Replay,” which is an Instant Replay carrying the pre-recorded audio of the athlete involved so that we may know his or her thinking in that situation. HHR: Did you really work with a man named "Jack Dolph" and how did you type, nonetheless say, that name without snickering? TV: Jack Dolph, commissioner of the American Basketball Association, 1969. After he left the A.B.A., Dolph became an independent sports producer. If you knew Jack ---snickering was the last thing that came to mind. He was a great guy---one of my favorites. HHR: One last thing regarding blogs "setting the record straight…" As a "dago-kid" from Jersey, I have to call you out. You referred to the "Philadelphia" nightclub the Latin Casino. Don't you mean the "South Jersey" nightclub? 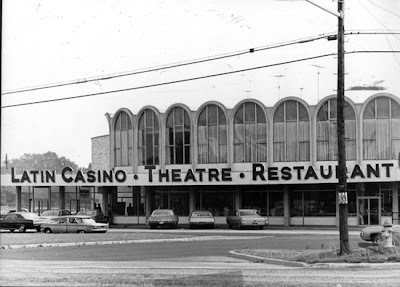 TV: The original Latin Casino was in South Philadelphia. It opened there in the forties and was popular with soldiers and sailors in town during WWII. The club originally resided on Walnut St. and Juniper in Philadelphia and later moved to Rt. 70 in Cherry Hill, New Jersey. HHR: I humbly stand corrected. For more information about Tony Verna, his life and works see his official website. To purchase "Instant Replay," click here.